If you’ve always dreamed of being a writer, you may have also dreamed of getting a specialized degree like an MFA. It’s easy to feel like you need to get a bunch of certifications or degrees before you can be truly successful at what you do. That’s why I’m excited to feature an interview Gabriela Pereira in today’s episode. Gabriela teaches writers strategies and techniques they would learn in an MFA program without the hefty price tag. Gabriela Pereira is a writer, speaker, and entrepreneur who wants to challenge the status quo of higher education. As the founder and instigator of DIYMFA.com, her mission is to empower writers, artists and other creatives to take an entrepreneurial approach to their professional growth. Gabriela earned her MFA in creative writing from The New School and teaches at national conferences, regional workshops, and online. 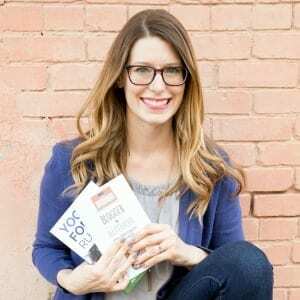 She is also the host of DIY MFA Radio, a popular podcast where she interviews bestselling authors, and author of the book DIY MFA: WRITE WITH FOCUS, READ WITH PURPOSE, BUILD YOUR COMMUNITY (Writer’s Digest Books, 2016). Click here to get access to Gabriela’s free Starter Kit. This kit will help you get jump started on your path toward becoming a writer and author, and it will teach you some of the tips and tricks Gabriela learned while getting her MFA, too! Gabriela also has a free Cheat Sheet to help you turn your knowledge and genius into a book. Get access to the Cheat Sheet here. Don’t forget to subscribe to the Blogger to Author Podcast on iTunes and rate it! You can also catch the Blogger to Author Podcast on Google Play and Stitcher.